Sacks Real Estate Management Corp. is a full-service property management firm specializing in cooperative and condominium management. Our objective is the preservation and enhancement of your real estate investment. Every member on our team maintains the highest ethical and professional standards, and takes a hands-on proactive approach to the management of your property. Each building is unique, and we offer our clients objective guidance and assistance to Boards making difficult decisions that effect the building and its residents. We are responsive to the needs of our clients, residents, and building staff and believe that communication among all parties is key to running a successful building. We bring your building into compliance with Local Laws. After 30 years of experience, we understand the complexity of the various issues Boards and managing agents face. Every year the city and state mandate new laws and compliance codes. Sacks Real Estate Management ensures that your building is up to speed, with all agency requirements. Whether it is the adoption and disclosure of a building wide smoking policy or a large Local Law 11 project, we are here to guide you through each and every process. We work with legal, accounting and construction professionals to develop a capital plan for your property. Board members are volunteers, each with a fiduciary responsibility to residents. We recognize the amount of personal time they dedicate to their buildings. Sacks Real Estate Management Corp. are the professionals that can assist and guide Boards to make objective decisions for the benefit of the building. We take our role seriously, and develop long-standing relationships with our Boards and residents. We are here to improve quality of life and enhance communications. What happens in your building when there is an emergency? • Does the building staff know how to respond? • Is there a plan in place for a fire or flood? • Have your residents been instructed what to do in the event of an emergency? • What can you do to be prepared? • Do you have the adequate property, and liability insurance in place? Sacks Real Estate Management highly recommends that annual seminars be held for all residents and staff on fire safety and what to do in emergencies. We make sure residents and staff are informed on the steps to take in these cases. How to increase revenue? We bring our know-how. Building revenue is increased when good management goes to work. Sacks Real Estate Management professionals know the alternatives available to residential properties for increasing and maximizing revenues. We work hard to find you the best value for your dollar for supplies, utilities, loan refinancing, insurance/insurance risk reduction programs, and major capital improvement projects. Amenities in buildings can add value to your property and increase revenue. The development of a realistic operating and capital budget is an essential part of building operations, and we will work toward keeping your income and expenses reasonable based on the goals the Board wants to achieve. 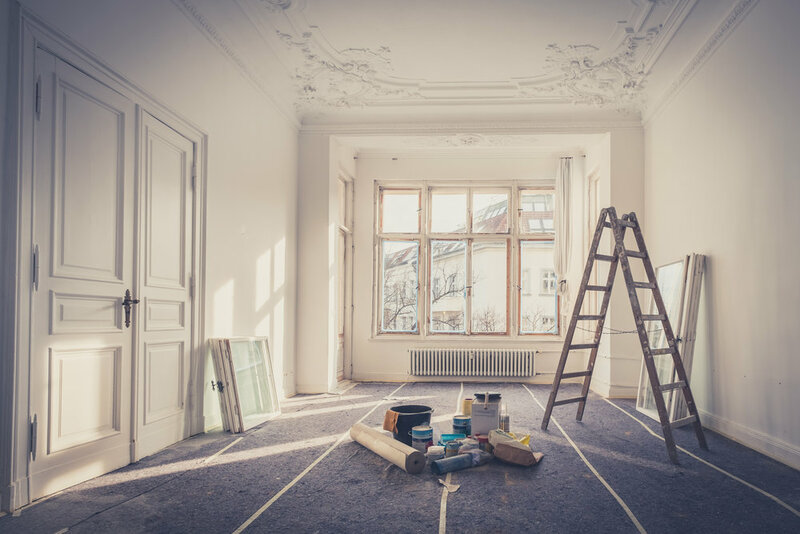 Beautiful renovations begin with insurance in place. Apartment Alterations are an integral part of a property managers role. We, along with your building professionals, review and apply Board requirements to each alteration. It is crucial to have proper oversight to ensure that the Coop/Condominium and shareholder/unit owner liability is minimized, and that all necessary precautions are taken to protect the building. Outside vendors working in the building must be licensed and insured. It is good practice to have contractor indemnification agreements executed for many jobs. We build teams with consistent training and oversight. We understand the importance of each and every staff member. Building staff need to understand their roles, and the expectations of the board and residents. We will ensure that building staff receives proper training to be effective at their job. As it is not uncommon for employees to become part of the building’s community, we oversee that staff services are provided in a professional and consistent manner to all. Discuss your building with Meryl Sacks today. In essence, Sacks Real Estate Management has worked with prestigious New York properties and Board members with the goal of streamlining building procedures every day, through routine practices and in events of emergencies. We find our clientele to be a pleasure to work with in determining what each building needs and how to structure the steps of project completion to the satisfaction of a Board. Meryl Sacks, president and founder, Sacks Real Estate Management, has earned high praise from clients who have remained in her stable for many years. She is available to speak with Boards about the needs of your building when you are ready to explore new management. and then call Ms. Sacks for consideration of what you need in your building.